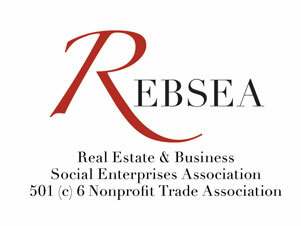 Many REBSEA Members are focused on supporting Nonprofits that provide animal welfare services. Each member has their own reasons and experiences that led them to have such a passion to protect animals and improve their living conditions. REBSEA Founder Kelly Arsenault, in the article below, describes her journey to creating PRONE, a Nonprofit that has made great strides in rescuing and protecting Papillons and Pomeranians. Several other REBSEA Members are also focused on specific breeds and are part of national efforts to find homes to adopt abused and neglected animals. We urge all Animal Welfare Nonprofits to join REBSEA as NPO Members (at no cost) and become part of this rapidly growing network that can help both with donations and also with creating great synergies in our effort to help protect our animal friends. It all started at the golf course, one of the owners and an employee both had papillon dogs. The heck with golf, I would get there early just to play with these smart little creatures. The more I learned about their perky little attitudes the more I liked them. My husband and I were Labrador Retriever people and still had two, one of which was failing. One Sunday just before Thanksgiving he came home with a phone number and said, call her, she has 4 Papillon puppies for sale. After much hesitation, I made the call to "just go look". Yeah right! We brought home Sterling just after Thanksgiving of 2007. I thought I'd like to breed so I started researching and what I found astounded me. There were so many out there that needed homes and most of them were full bred, either from puppy mills, owner surrenders or other such circumstances. After conversing with the founder of Pap911 I decided to have Sterling neutered and rescue instead. I spent a few years with the group out of Georgia as the Fundraising chair and acquired 3 more Papillion's from foster failure. I also worked with another group called South Paw out of TN doing much of the same. I then decided to take a break and concentrate on my Real Estate career. Being in Real Estate and my reputation in rescue locally, I started getting calls.... I'm losing my home, can you take my papillon, Kelly did you see the dog in... There hadn't been a necessity for a Papillon specific rescue here in the past. Times have changed, the popularity of the breed has expanded all over the US and Canada. So, we started PRONE - Papillon Rescue Of the North East. We are a nonprofit 501c3 started in August of 2012 that rescues primarily Papillon and Pomeranian dogs. We've had healthy puppies to Seniors and special needs dogs. We depend on Windham Animal Hospital and their generous vetting discount and PetSmart in Salem NH, who allow us to adopt through their store and often donate food and other goods. We hope to someday have a facility, but for now they are in foster homes throughout the North East or at my house until a home can be found. All donations go directly to the care of the dogs.As a Fundraiser and Founder of PRONE, I know how hard it can be to raise funds for a much needed surgery costing thousands - to save, "Just One More". When I spoke to David Matluck, CEO and Co-founder and he explained about REBSEA, I knew this was just what I had been dreaming of. I wish I could have hugged him that day, just imagine a check coming to PRONE for $800 and all I did was refer someone to a Realtor in REBSEA. My Partner, Brandon and I are known as TEAM -Agent to the Rescue and hope to add to our team as the right people come along. We've already added a Lender, Title Company and Contractor. We look forward to writing many checks in the near future, so keep us busy! Call "Agent to the Rescue" for a Keller Williams, Team you can trust. Looking to join our team as a Realtor or Affiliate, call us at 603-770-6056. Kelly ArsenaultPRONE - Papillon Rescue Of the North East501c3 #46-0833977President/Founder603-770-6056 Mobile603-887-0799 HomeOur website: www.pronepups.orgMember of: www.REBSEA.org "Just Say Yes To Giving Back"